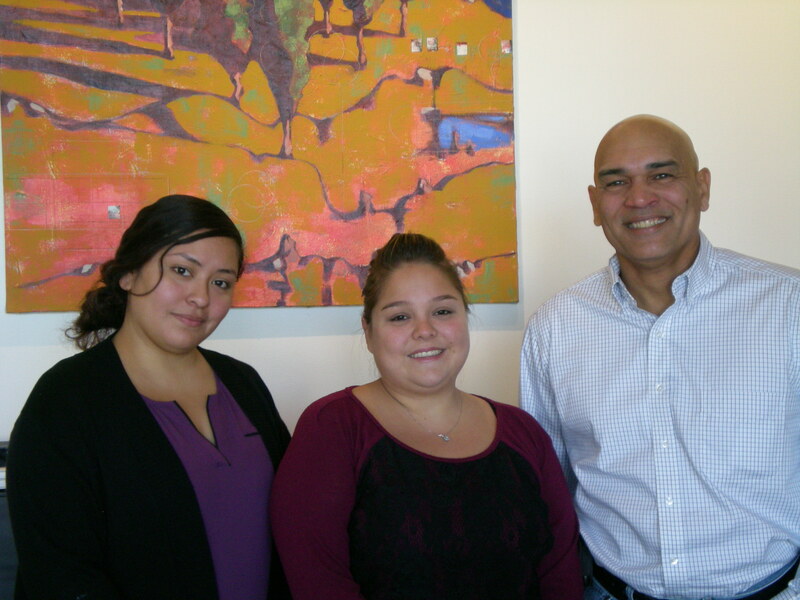 The Landreau Group: Liz Zacate, Sarah Soria, and Carlos Landreau. Sitting in his new office at 2615 East Franklin that looks out onto the avenue, Carlos Landreau has a view of Wells Fargo, Zipp’s Liquors and the busy commercial corridor that helps to define the Seward Neighborhood. He wasn’t sure that he wanted or needed such a visible storefront for his insurance business, The Landreau Group, but he likes the diversity of businesses along Franklin as well as the proximity to the Seward industrial and manufacturing district to the south. And, says Carlos, “the freeway access is great!” Moving here from his previous traffic-jam-plagued Uptown location, he can appreciate that. The Landreau Group is an independent insurance agency focusing on commercial, life & disability, and personal policies. For Carlos, the long and windy road to selling insurance in the Seward neighborhood began when he left his native Puerto Rico to attend Macalester College. After graduating with a degree in International Business and Accounting and a stint working for 3M in New Mexico, Carlos returned home to Puerto Rico where he started his own maintenance contracting business. And he did very well, growing his business from 1 location to 450 locations serviced in 8 years. “But,” says Carlos, “as a young 25 year old entrepreneur, I made a lot of mistakes and learned about risk the hard way. I had no one who talked to me about what could go wrong.” That experience planted a seed that would take a few more years to mature. He left Puerto Rico again, with his wife Charlotte of 30 years who was born and raised in the Mac Groveland neighborhood in St. Paul. They started a family and worked throughout the Caribbean, North and South America, and Europe in a variety of sales and product management positions for companies like 3M, Laser Master, GE and ADC Telecom. Wanting to settle down and start his own business again, Carlos’ experience as an entrepreneur in Puerto Rico led him to spend 2 years researching the complex world of insurance before becoming an agent in Minneapolis with Farmers Insurance. Carlos Landreau of The Landreau Group. Part of his business plan was to always become an independent agent, free to work on behalf of his clients and their best interest. 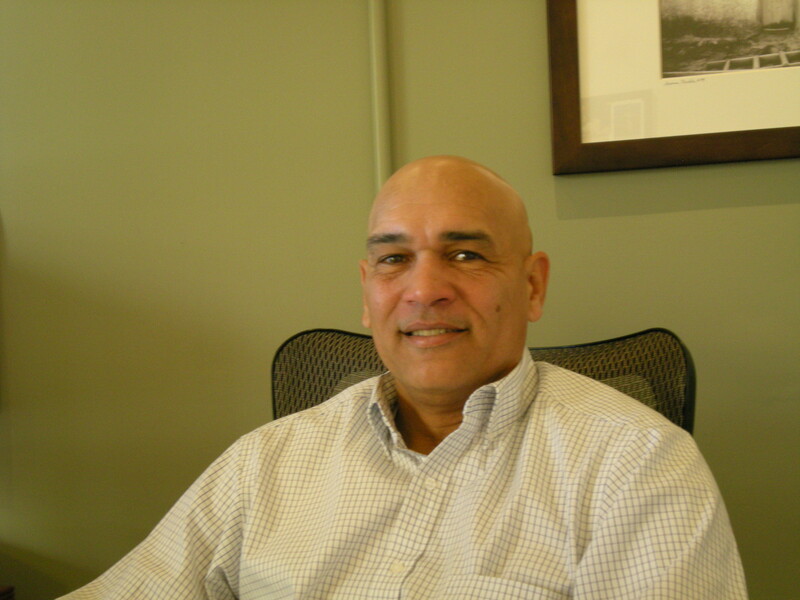 Carlos has been an independent agent now for the last 6 years and is joined by Sarah Soria and Liz Zacate who pride themselves in offering memorable customer service. The Landreau Group has built their reputation on extensive knowledge of the industry and a desire to help people understand the risks they face in their business or personal life. The motto Managing Risk Through Insurance encapsulates the philosophy, and The Landreau Group strives to negotiate the best price and coverage for their clients from the offerings of 40 different insurance carriers. Recently, the agency participated in a Carlson School of Management marketing study conducted by students who interviewed current clients of the agency. The clients’ responses revealed that The Landreau Group’s reputation is one of integrity, dedication, passion and accessibility, and that most of their clients are long-term clients or referrals. So you won’t see a big marketing campaign or Carlos knocking at your door for your business, but if you’re ever in need of insurance, stop in at 2615 East Franklin, check out their website at http://www.ligmn.com/ or call Carlos, Sarah and Liz at 612-276-7035.